We preview Sunday’s Betfred League Cup Semi-Final. 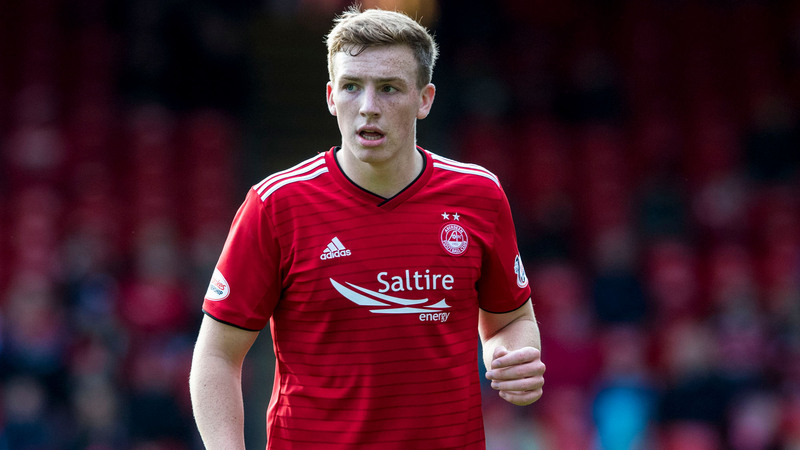 Read the thoughts from Derek McInnes, Graeme Shinnie, Lewis Ferguson, Scott Wright, James Wilson, Joe Lewis, Michael Devlin and Niall McGinn. 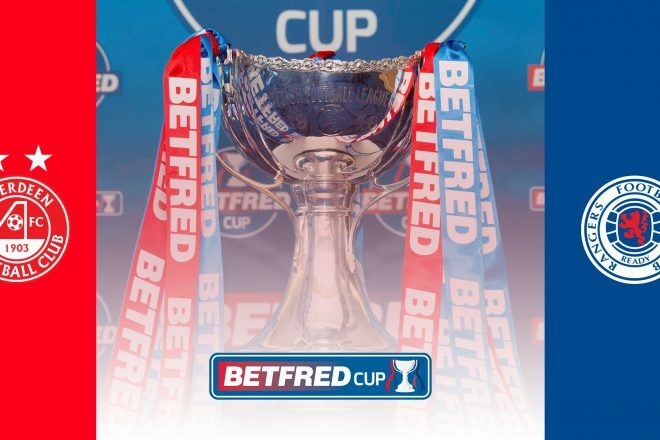 This Sunday Aberdeen return to Hampden for the semi-final of the Betfred League Cup. It’s the third season in a row that The Dons have played at the national stadium, their fourth league cup semi-final in six years and the seventh domestic semi-final in total under manager Derek McInnes. Jimmy Phillips 4; Paddy Travers 3; Dave Halliday 7; Davie Shaw 2; Eddie Turnbull 5; Jimmy Bonthrone 1; Ally MacLeod 1; Billy McNeill 1; Sir Alex Ferguson 12; Ian Porterfield 2; Alex Smith & Jocky Scott 4; Willie Miller 4; Roy Aitken 3; Ebbe Skovdahl 2; Jimmy Calderwood 2; Craig Brown 3. 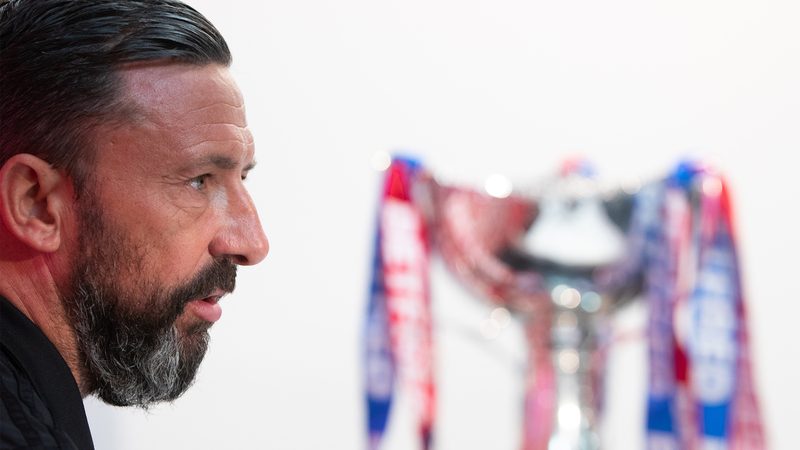 On Wednesday lunchtime Derek McInnes and Graeme Shinnie spoke to the media ahead of Sunday’s match. “As I’ve said in the past, it’s how you deal with such occasions, whether you’re firm favourites going into the game or whether you’re the underdog and in this case obviously Rangers have started very strongly this season, as you would expect, and we have got a tough match ahead of us, although I do think the experience that we’ve had in the past will help us. “We’ve had a number of ‘big’ games over the years, some that we’ve dealt with comfortably while in others we’ve not brought the performance that is needed and I think it’s clear we’re going to have to bring a big performance. But the fact that we’ve been used to playing here at the national stadium and used to these types of games hopefully will help because we do have a lot of players who have been over the course although obviously there’s just a few that have been involved in all six previous semi-finals. “It’s one we’re looking forward to and it’s games we always enjoy. Training has been good the last couple of days and we went over the Hearts game and picked the bones out of that. We got that out of the way and training has been really good and there’s just an excitement for the game on Sunday. “It’ll take a massive team effort. We know Rangers are a good team and it’ll be important for us to try and keep it as tight at the back and hopefully a clean sheet to let us build on that. We’ll let the front players do their stuff and try get goals. I think in football it’s all about the team performance and everyone playing at the top of their game. “I am really excited for the semi-final. I’ve never played at Hampden before so I am really looking forward to the experience and the occasion. “Hopefully we can go and perform against Rangers and get into the Final. I joined the club because success here is winning trophies. “I’d started training again at the start of last week and I can’t thank the physios enough for getting me back in as quick as time as possible. It’s just lucky we didn’t have to go down certain avenues with the injury, but as I say I can’t thank them enough for how quickly they managed to get me back on the pitch. “It’s always a big occasion at Hampden never mind who you’re playing, and it just makes it that bit bigger that we’re playing Rangers. We can’t get too carried away and get caught up in the hype. That’s when you’ll try and play a different game. We showed in the second half on Saturday that we can play football and move the ball about and hopefully we can do that at the weekend. “It is one of the biggest games I have been involved in. It’s a semi-final, I have not been in a semi-final before at senior level and it’s at the national stadium. So it will be a different experience even although I have played in some good domestic games during my career. “For me, I would not say it is superstition, but I just try and keep everything simple and the same, no matter how big the game is. I give each game the same focus. Whether other players or the manager wants to prepare us slightly differently, we might for example do something different in training, for me personally I try and do everything the same and hopefully I will get the same outcome I did against Motherwell a few weeks ago. 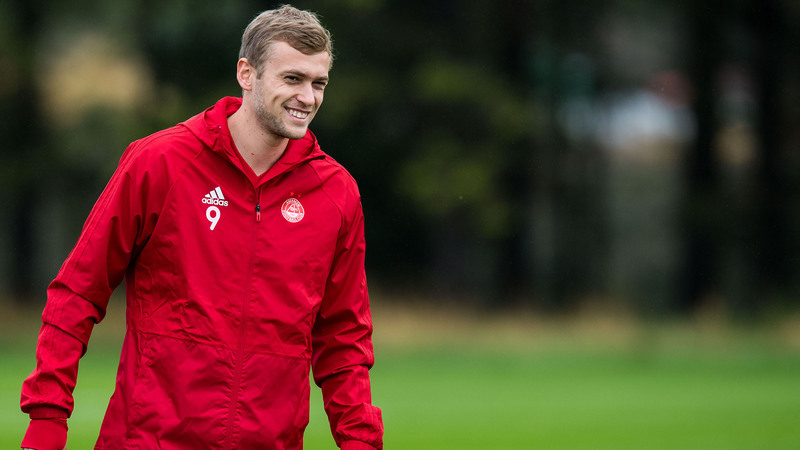 “There is a different mindset at Aberdeen compared with what I have been used to and that is one of the reasons I chose to sign for Aberdeen. Without being disrespectful, a big game for the likes of Hamilton would have been a relegation game against a team round about you in the league, with all the things that go along with that. It is big pressure, but a different type of pressure in the sense that there is an expectation here to win. “It is a big game and there will be a good atmosphere. Hampden is a big pitch and hopefully it will be a good game. We know how hard we are going to have to work if we want to get a positive outcome. It is important in these games to try and get settled as quickly as you can. It is always nice to get a few early touches and put in some tackles. The Dons kicked off their Betfred Cup campaign against newly-promoted St Mirren at Pittodrie. 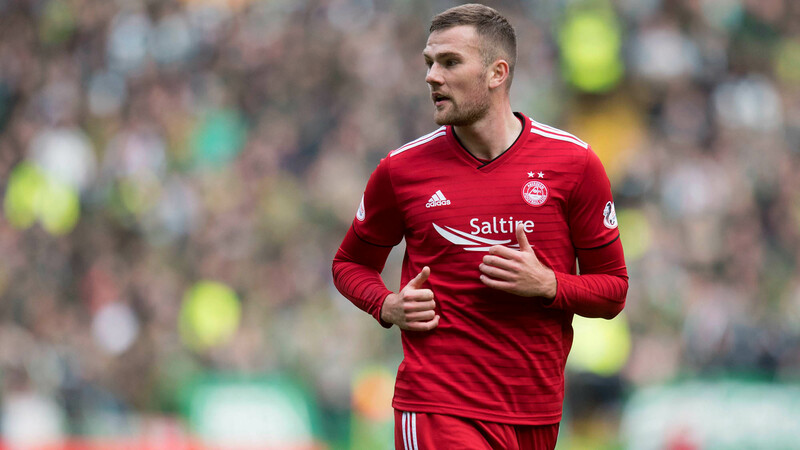 The Dons went into the game off the back of a 1-0 win at Dens Park and were able to produce a free-flowing performance, which they duly delivered. 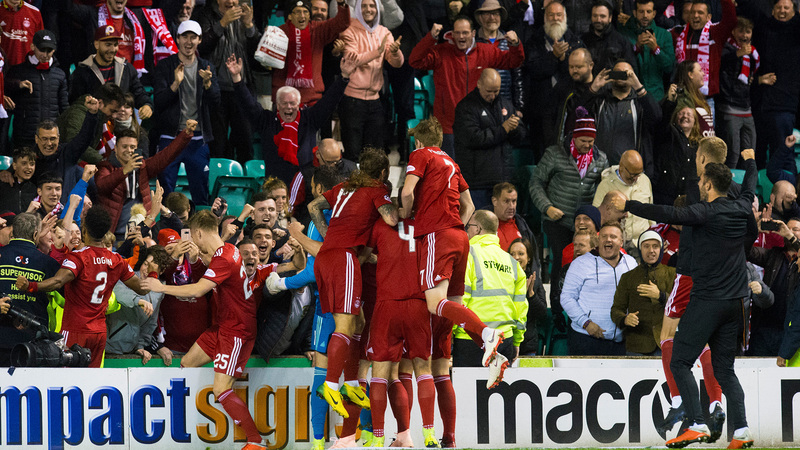 When Stevie May nearly scored in the opening seconds, The Dons were already on the front foot and Mackay-Steven volleyed home from close range after 15 minutes. The game was effectively killed off as a contest in the next ten minutes with Shinnie and May putting the hosts 3-0 up. After the break, GMS grabbed his second from the spot and ensured an easy passage for Aberdeen into the Quarter Final. There were fewer tougher ties than Hibernian at Easter Road, but that’s what stood between The Dons and the last four. The cameras were present for what was arguably tie of the round and both teams served up a cracker. Hibs have been known for their attacking football this season and had opportunities as did The Dons, but the visitors dug deep along with a bit of luck and forced the game to extra time and penalties. Captain Graeme Shinnie had the task of going first and sent Bogdan the wrong way. 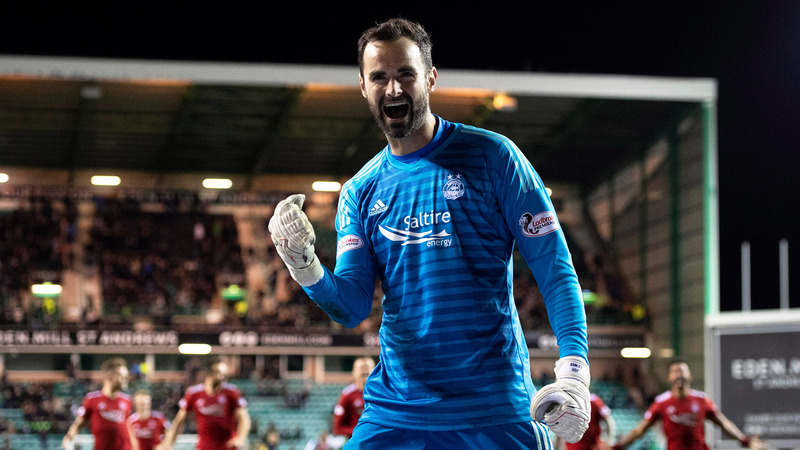 Joe Lewis then saved brilliantly to deny Mallon and The Dons were ahead, but McGinn would miss soon after and it was all square going into sudden death. Each penalty gave the goalkeepers no chance, but someone had to miss, and Agyepong for Hibs cracked the crossbar and The Dons were through after a 6-5 victory much to the delight of the travelling fans behind the goal. 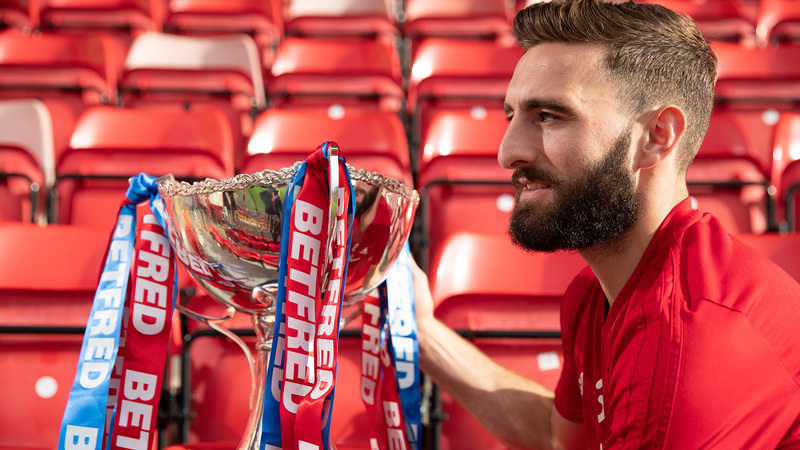 Like The Dons, Rangers qualified for the Europa League and wouldn’t require entering the group stages of the Betfred Cup and were drawn against Kilmarnock at Rugby Park in the second round. Alfredo Morelos scored a hatrick to ensure progress to the next round after a 3-1 win at the expense of Steve Clarke’s side and they would face Killie’s Ayrshire rivals Ayr United in Quarter-Final. Ayr have exceeded expectations this season and were sitting on top of the Championship, but the home side eased to a 4-0 win. This is Aberdeen’s 30th semi-final tie. Previously The Dons have won sixteen, drawn two and lost eleven, scoring 42 goals and conceding 33. The semi-finals of 1981-82, 1983-84 and 1985-86 were two-legged affairs, played home and away rather than using neutral venues. The 1966-67 semi-final went to a replay. Aberdeen’s biggest margin of victory in a League Cup semi-final has been four goals with this being achieved four times. The 1947 Semi-Final against Hearts ended in a thumping 6-2 victory, 5-1 v Rangers in 1976 and 4-0 v St Johnstone 2014. This will be Aberdeen’s 13th semi-final tie at Hampden. The Dons have won 7, drawn 1 and lost 4 of the previous twelve. 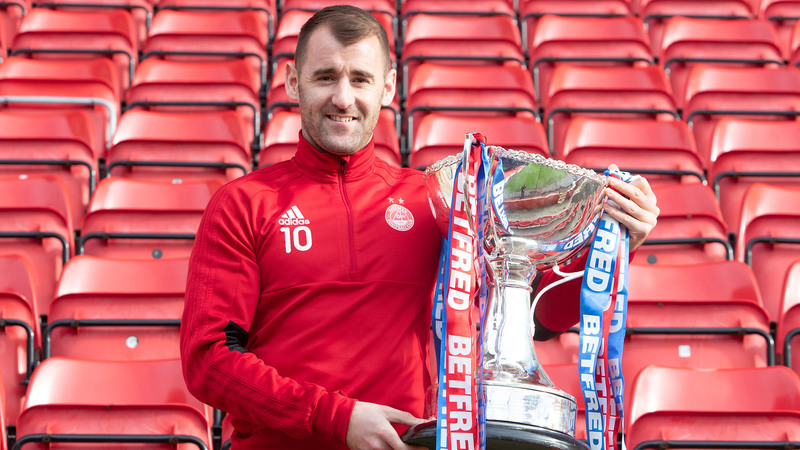 Each time Aberdeen have defeated Rangers in a League Cup semi-final they have gone on to lift the trophy. The first semi-final in the first official League Cup pitted Hearts against Aberdeen at Easter Road. The Dons ran riot and despite being level at half time, scored four in the second half including a hatrick from “Gentleman” George Hamilton in a 6-2 victory. In 1955 The Dons won their first League Cup courtesy of a victory over St Mirren, but it would be another 21 years before they’d reach the final. They sealed their place in the final with an emphatic victory over Rangers. Jocky Scott got the ball rolling with a terrific counter-attacking goal in the first few minutes. His eventual hatrick culminated in a 5-1 thumping and one of Aberdeen’s finest ever performances at Hampden. The League Cup had eluded Alex Ferguson during his tenure at Pittodrie, but the trophy eventually returned to the boardroom in 1985 when they reached the final after a two-legged victory over old rivals Dundee United. Mark McGhee made The Dons in control after a 1-0 win at Tannadice and two weeks later they got the job done thanks to a Frank McDougall goal. In the final The Dons dismantled Hibernian, which was the first part of the cup double in Ferguson’s final full season. The 1995 League Cup offered The Dons the chance to regain their credibility in Scottish football. A disastrous campaign the previous season nearly resulted in relegation, but Roy Aitken’s team survived and underwent a revival of sum what. That culminated in reaching the last four of the Coca-Cola League Cup in which they faced Rangers at a rain-swept Hampden. Despite facing the then seven in a row league champions filled with the likes of Gascoigne and McCoist, The Dons were professional in their work and Billy Dodds fired the team into a 2-0 lead and they never looked back. 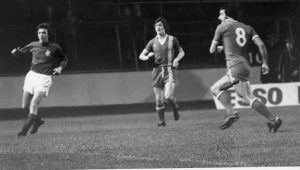 As the clock ticked down, Aberdeen began to showcase their skills and Eoin Jess took it upon himself to show off with some keepy-ups along the touchline, much to the delight of the travelling Red Army. 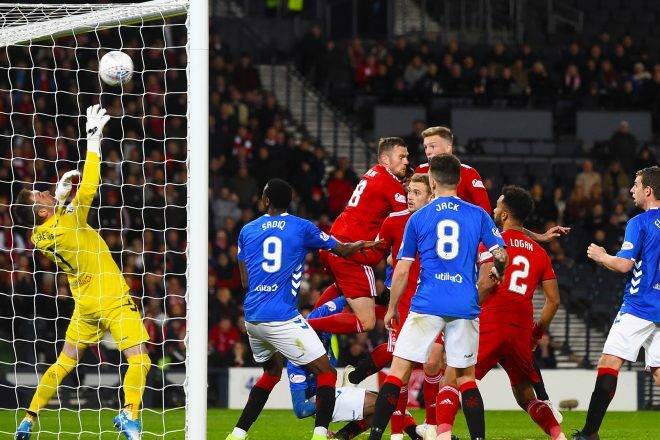 Rangers did get a goal back, but it was in vain and The Dons held on for a deserved victory. They would of course go on to lift the trophy with a 2-0 win against Dundee. A whole generation would pass before an Aberdeen side lifted a trophy. 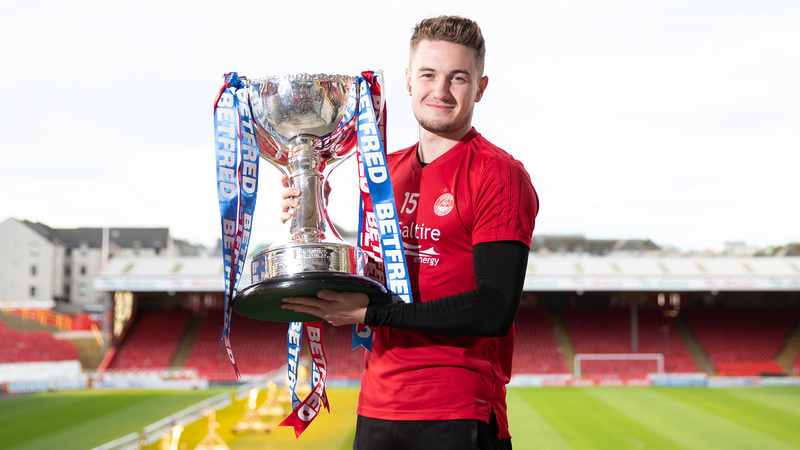 The 2014 edition of the League Cup offered a serious chance of silverware after a strong start to the campaign and Aberdeen went into the last four as favourites to reach a first national final for 14 years. At a packed out Tynecastle, The Dons got off to the perfect start against St Johnstone and took the lead through Jonny Hayes after two minutes. With Saints pressing hard, Peter Pawlett made it two with an excellent solo goal and Aberdeen were looking good. New signing Adam Rooney made it three in the second half and the Red Army were able to enjoy the final moments as Jonny Hayes grabbed his second to send The Dons through to face Inverness CT at Celtic Park in one of the club’s finest performances in recent years. For all the latest travel information, please click on the link above. If you can’t make the big game on Sunday, make sure to tune into RedTV with Dave, Andrew and former Dons captain, Paul Hartley from 4.15pm where we will have live audio for UK subscribers and live video for International subscribers. Post-match we will have reaction, goals, highlights and a full match replay. A second half header from Lewis Ferguson ensured that Aberdeen will face Celtic in the Betfred Cup Final at Hampden on Sunday 2nd December! Derek McInnes brought Niall McGinn and Scott Wright into a very attack minded starting XI. Ejaria picked up a yellow card on 33 seconds for a foul on Lewis Ferguson. From the resulting free kick McGinn forced McGregor into a save at his near post, he could only tip the ball round the post and the Dons had a corner. The ball bounced about the area before Shinnie was penalised for a soft foul on Jack and received a yellow card as well. More questionable refereeing when Considine was penalised for a foul on the edge of the area. He appeared to get the ball cleanly in a perfectly timed tackle. From the set piece the ball was floated over for Sadiq and his header went inches over. The big striker probably should have done better. After 8 minutes a strong run from Gary Mackay-Steven won Aberdeen a second corner. Nothing came of it and Rangers then had a promising break but Candeias wasted the opportunity when his cross was easily gathered by Lewis. On 11 minutes nice play by GMS and Scott Wright created space for McGinn but his cross was also straight at the keeper. Rangers had a couple of balls forward but each time Sadiq was offside. Then on 12 minutes Aberdeen spurned a glorious chance. Again Mackay-Steven did very well doen the right, his cutback found Wright who in turn found McGinn unmarked 10 yards from goal but his first time shot just went over the bar. With McGregor rooted to the spot, he really should have hit the target. Then Candeias got inside Considine but could not beat Lewis at his near post. McGinn in the 17th minute made up for his earlier miss when he made an excellent tackle on Sadiq as he looked to burst through. 20 minutes gone, this time Candeias beat McKenna on the touchline before Devlin half cleared it. Thankfully Sadiq on the edge of the area curled his shot well wide. Rangers were now enjoying more of the possession and forcing the Dons deeper. On 25 minutes Aberdeen enjoyed some decent possession but Mackay-Steven’s pass into the area was just a little too strong for Shinnie’s run. Rangers had a couple of shots from distance before Ryan Jack struck one just past the post on 28 minutes. At the same time Andrew Considine required treatment after a clash of heads with Coulibaly. Sadly the big defender was unable to continue and had to be stretchered off. After a five minutes of treatment on the pitch Andy was replaced by Max Lowe. When the game finally resumed Rangers again enjoyed most of the possession and the Dons survived a couple more crosses from the left. On 40 minutes Lowe showed good vision to spread the play, Logan gave the ball to GMS early and his cross had to be tipped over by McGregor. McGinn though failed to clear his man at the front post. There were then quite a few incidents for referee John Beaton to deal with. McGregor got away with an off the ball collision on GMS, Sadiq had a late challenge on Lewis once the keeper had the ball and then Jack took down Wright. It felt like every decision was going the way of the side in blue. During eight minutes of added time Ryan Kent went over in the box but Shinnie had made an excellent tackle and Beaton made the right decision. Ferguson was booked for a foul on Coulibaly. Then the last bit of action saw Lowe make a great tackle on Candeias. On 46 minutes Scott Wright was brought down by Joe Worrall on the edge of the area but nothing was given. Aberdeen then pushed forward and Wilson had a snap shot but he did not catch it cleanly. In the 50th minute Wilson rose well to head clear a corner and then Kent beat a couple of players blasting the ball high and wide. On 52 minutes Lewis did well to save and get clear a Tavernier low shot and then McKenna cleared a Kent cross off the line. Rangers continued their first real period of sustained pressure and McKenna was booked for a trip on Goldson. Tavernier put the resulting free kick over the bar. On the hour mark Coulibaly pushed a shot from a corner just wide. Derek McInnes made his first change of the afternoon at this point, Stevie May replacing Scott Wright. Aberdeen were really struggling to keep possession as Rangers kept the pressure on. Shinnie did well to head clear and then Kent should have done better once he got inside Logan. As the 70 minute mark approached there were signs that Aberdeen were coming back into the game. Lowe made a brilliant run down the left and found McGinn – his cross was taken by McGregor at the second attempt. Better from the Dons. The game then became quite stretched and scrappy. Stevie May’s presence was certainly causing the Rangers defenders problems. Rangers had a really dangerous break on 75 minutes but when Kent stepped inside Shinnie was there to block. On 78 minutes Lewis Ferguson played a great ball forward for GMS. The winger was unable to get a shot away but he did win his team a corner. McGinn floated over the perfect ball and Ferguson headed it in past McGregor. Queue bedlum amongst the Red Army. Aberdeen had the lead. On 82 minutes Sadiq went round Lewis but when he went to ground he was booked for diving. In the 86th minute Wilson was replaced by Dominic Ball as Aberdeen looked to see the match out. When Worrall headed wide, Aberdeen had four minutes of injury time to see out. The Dons looked to be managing the game well with GMS holding the ball high up the pitch but Rangers did make it a nervy final 60 seconds after they won a corner and sent the keeper into the area. Ultimately, the red shirt’s came out on top winning every ball and ensured that it would be the Red Army going home happy.